Yo! Let’s end the week with nice short-term forex trend trades on NZD/USD and NZD/CAD. Get ’em while they’re hot! First up is a nice and simple trend play on NZD/USD. As you can see, the pair is finding support around the .7000 major psychological handle, which is right smack at a rising trend line AND a 50% Fib retracement on the 1-hour time frame. The cherry on top of this sweet setup is a bullish divergence that’s forming on the chart. But will the bulls pounce on the setup? Buying at current levels is a good idea if you think that Kiwi will make new weekly highs. If you’re no fan of Kiwi, though, then you could also wait for a break below the trend line and trade a potential reversal instead. Whichever bias you choose to trade, just make sure you practice tight risk management decisions when you do, aight? Dollar trading not your style? Here’s a somewhat similar setup for ya! 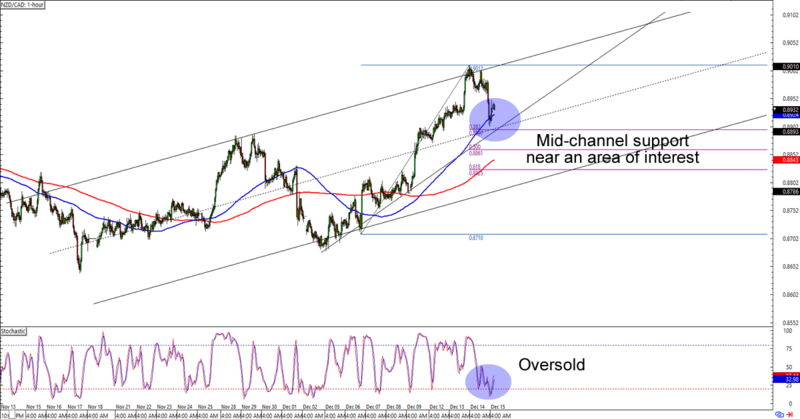 NZD/CAD just bounced from the .8900 psychological handle, which was near the 100 SMA, mid-channel support, and a 38.2% Fib retracement on the 1-hour time frame. With stochastic just poppin’ from oversold territory, you can bet your pips that other bulls are already watching this one. 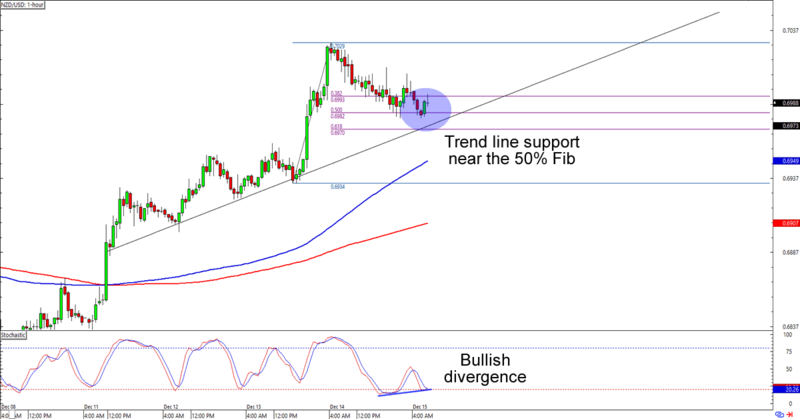 As with NZD/USD, a simple and solid trend play could get you pips on this one. Just remember that currency crosses tend to be more volatile than the major dollar pairs, so y’all better keep your stops wide when trading setups like these!